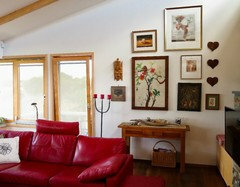 A feature wall is a great way to pull focus in a room and create a room ingredient to write home about. After all, they don’t call it “feature” wall for nothing. 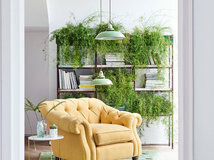 Also known as an accent wall, this design trick is all about taking a blank wall and embellishing it with unusual textures, bold colours, a powerful print or treasured mementoes. 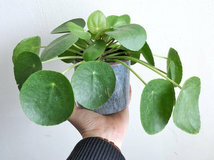 How have you decorated yours? We’d love to hear from you – simply upload your high-resolution photos in the comments section below. In the meantime, here are 20 feature wall ideas to inspire you. Line up your precious prints in a handsome feature gallery. 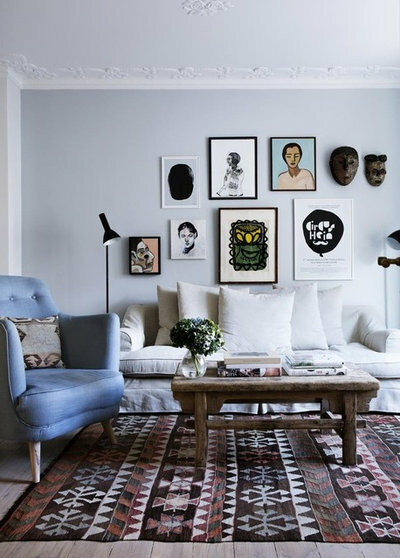 For truly show-stopping style, choose a range of different frames to house a mix of prints and photos. 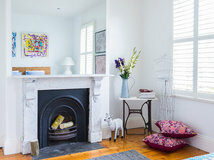 Then, mix in a couple of your treasured travel finds for an eclectic display with oodles of personality. Kitchen walls are often underrated. 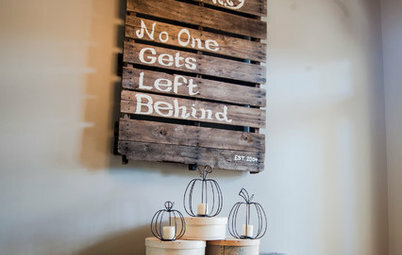 This decorating idea is a great way to keep the family in chalk … I mean, in check. Paint an accent wall in chalkboard paint and let the family write up the weekly calendar and shopping list. Another upside is that you’ll never forget a birthday again! For a feature wall that works its socks off, add floor-to-ceiling storage. 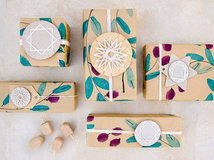 Fill it with treasured tomes, colourful mementoes and special collections. 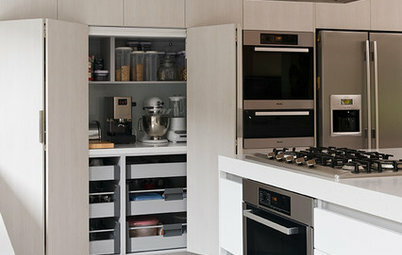 BONUS TIP: If you’re looking for a practical space-saving solution, choose a unit that mixes closed and open. 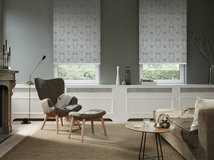 You can hide all manner of sins in the hidden nooks and keep your accessories on display. A feature wall doesn’t have to jump out of its own skin. We love this boho-inspired bedroom for that reason. 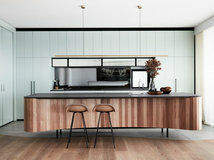 A mix of global finds and modern pops of colour don’t take the distraction away from the cool and calming wooden panelling beyond. 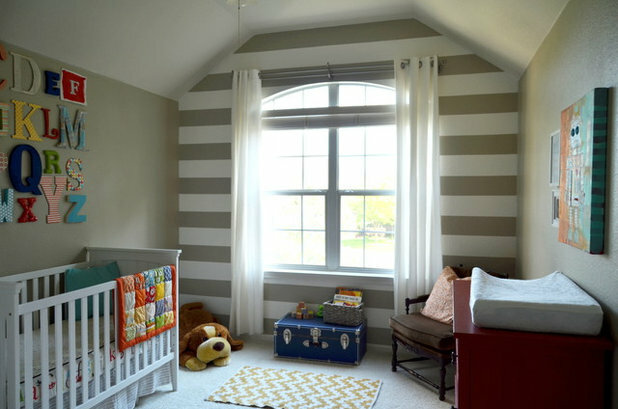 Subtle stripes look great in the nursery. 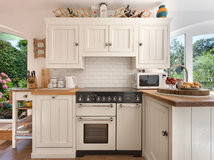 They can help create a room that gets better with age and don’t have to cover all four walls in order to do so. Choosing one wall to focus on can draw attention to a particular feature (in this case the sash window and the light coming through it). These luxe Italian tiles provide hotel-style sophistication in this compact bathroom space. 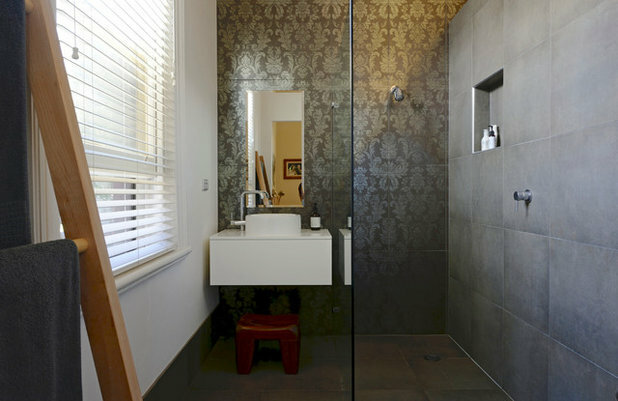 The shower screen splits the room in two, but the panel of tiles adds width to the space. Draw attention to your favourite piece of bedroom furniture – the bed – with a colourful wallpaper design that complements your furnishings. We love how the headboard material blends in with the pale backdrop of the floral print. 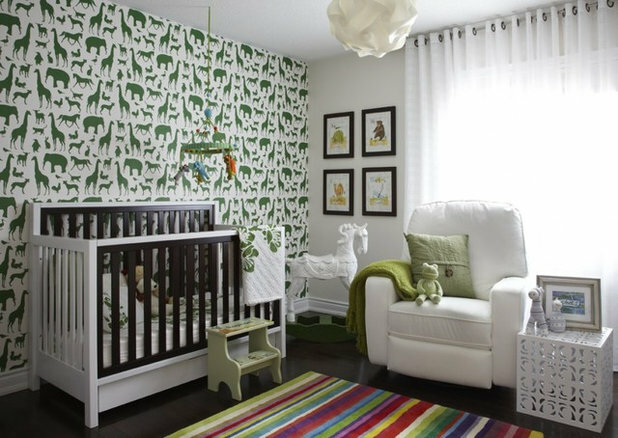 Kids will love this fun dinosaur print, and the beauty of a feature wall is that it’s only only one wall to strip when you want to update. BONUS TIP: Pull out the key colour in your feature wall for accessories and soft furnishings that can be replaced as he or she grows up. 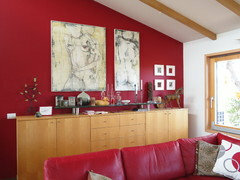 Nurture your creative streak by painting a wall mural. 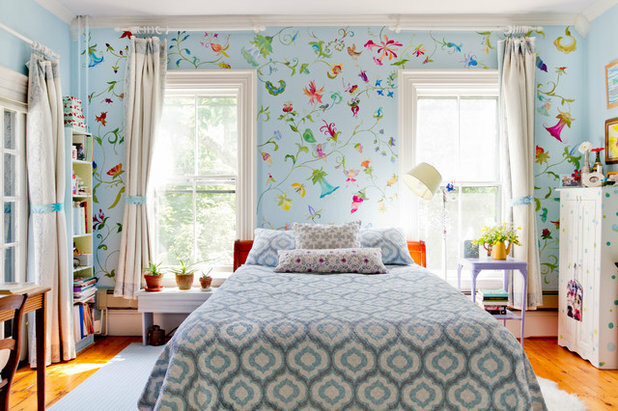 This impressive floral design adds plenty of personality to this sunny guest bedroom. If you need to, employ wall stencils to help you achieve a look that Picasso would be proud of. 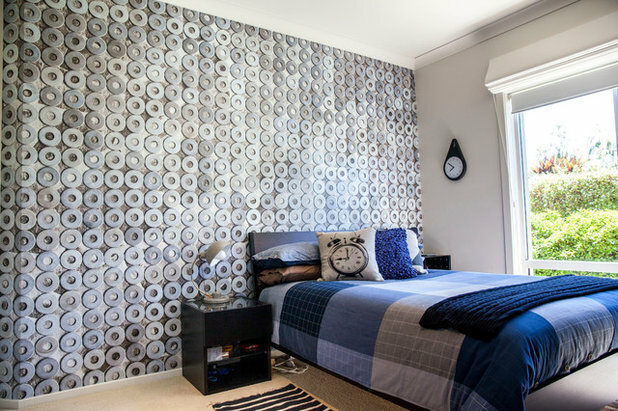 Inject industrial chic into your bedroom with a photo mural of repetitive interest, such as these washers. 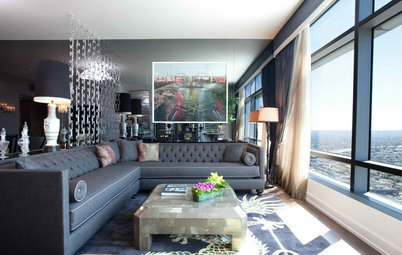 From a sunset view of Sydney to a tropical rainforest backdrop, photo murals allow you to take your bedroom anywhere. A concertina screen covered in pearlescent wallpaper adds Art Deco-inspired glamour and texture to this colourful boudoir. Each panel of wallpaper is separated by 3mm brass strips to add metallic accents. 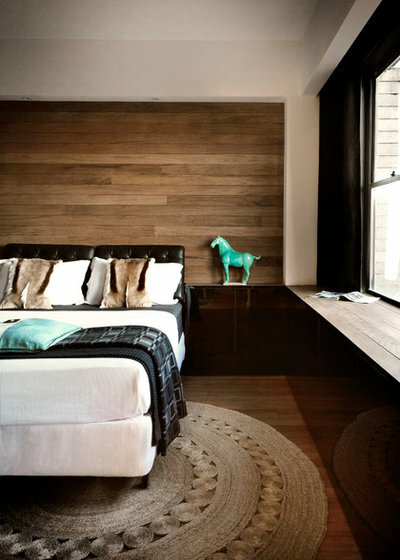 Grape shades complement the rich walnut headboard and adjacent joinery perfectly. 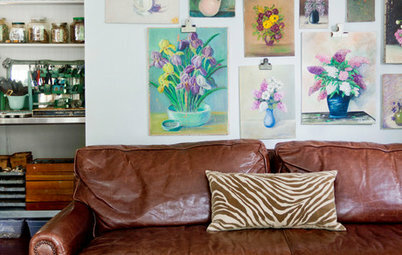 Renters take note: you don’t have to own your home to liven up your walls. 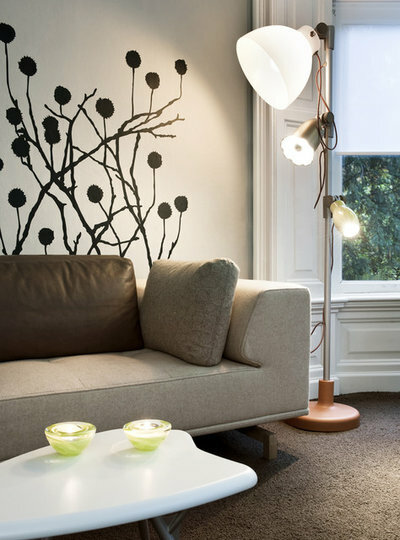 Try a removable wall decal to draw attention to your favourite features. 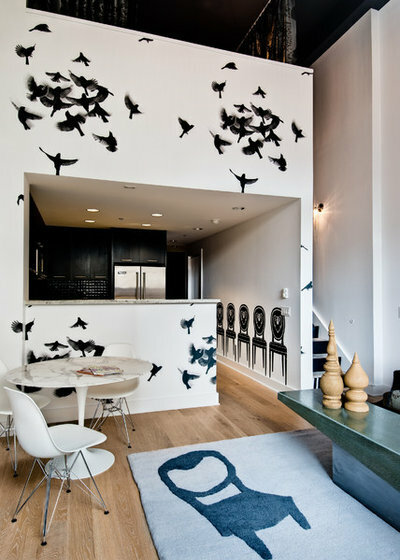 BONUS TIP: If you live in an open-plan space, wall decals can be a great design tool to easily define each zone. With so many wall sticker designs to choose from these days, you never have to leave a wall blank again. 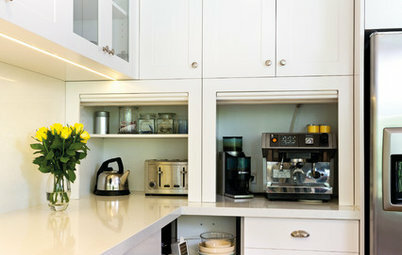 We love how much attention is drawn to this boxed-in kitchen zone. Bird stickers fly up from the bench to the ceiling, and the owners have even included dining chairs – they’re not too comfy, though. Teenage girls will love this accent wall, with space to put up photos of their mates and doodle in memories at the same time. Prepare yourself for philosophical quotes. 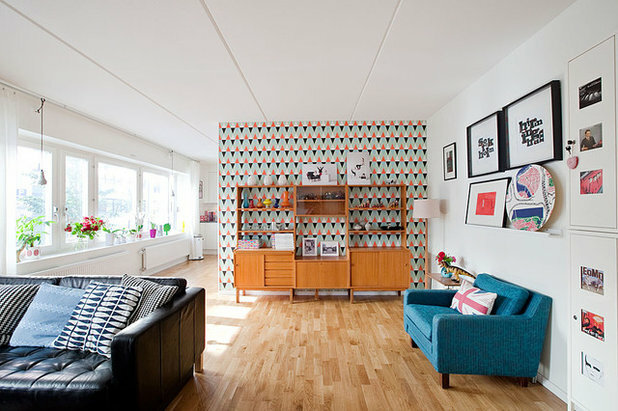 We can’t decide whether this standout wallpaper is brought to life by the complementary Mid-century-inspired storage unit, or whether the storage unit draws attention the wallpaper! Either way, it’s a match made in heaven. It’s all in the detail. 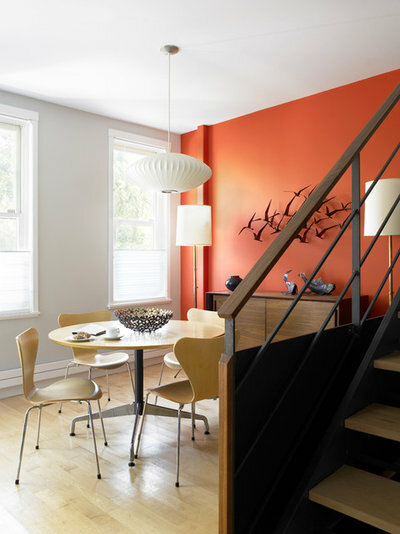 Add subtle interest with floor-to-ceiling wainscoting for high-end sophistication. 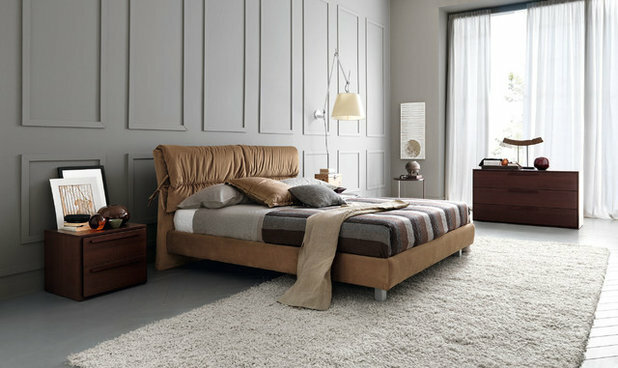 Find inspiration from this calming dove grey palette, accented by warm tan upholstery. 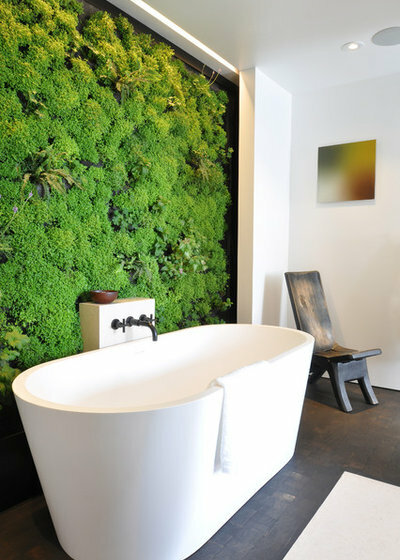 Looking for a nature-inspired bathroom to relax in? 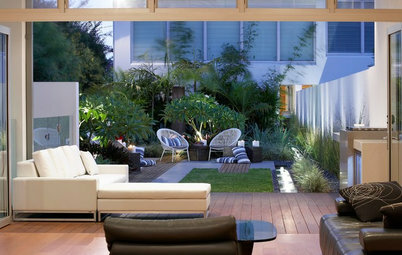 Grow a vertical garden wall to admire as you soak up the suds. 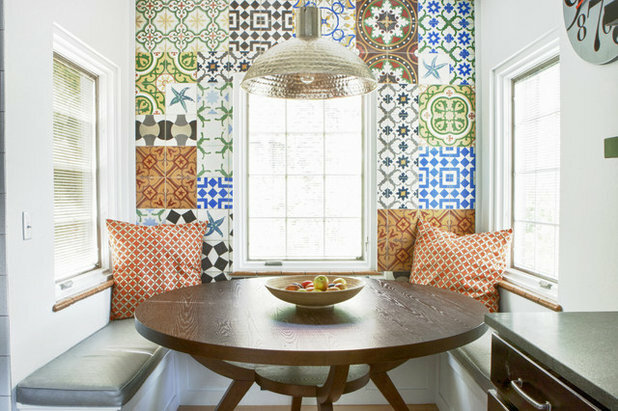 Enjoy a sunny brekkie in this Cuban-inspired breakfast nook. Packed with colour, it’s a great example of how mismatched mosaics can add serious style, and make use of the spare wall space surrounding a window. Sometimes the simplest solution works wonders. 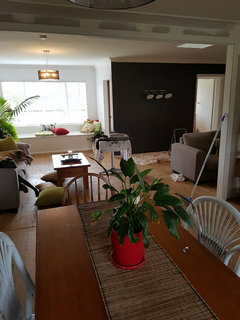 If you’re looking for a low-effort, high-impact feature wall, choose a bold paint shade, paint one wall and, hey presto, room update completed in an afternoon. We love this sleek grey accent wall, but what makes this dining room even more inviting is the sunburst mirror that pulls your eye. 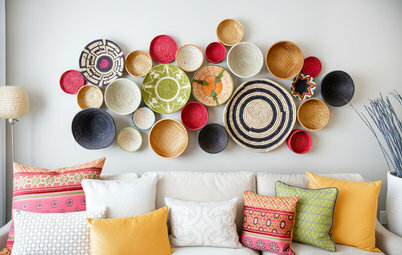 Have you created a wow-factor feature wall at home? Show us below by uploading a high-resolution snap of your scheme. Wall Murals: Do You Dare to Be Different? Great ideas and awesome photos of them! Create distinct areas in large, open rooms with these creative design ideas – no walls or other fixed vertical structures required!